Modiphius Announces the SILVERSHIELDS Community Team! Modiphius Launches SILVERSHIELDS Community Team! Modiphius Entertainment has announced the SILVERSHIELDS Program and two community managers;Dan Whorl and Dave McAlister to lead the teams in 2014. Inspired by Alexander the Great’s veteran warriors the Silver Shields, who gave courage to the younger soldiers in his army and helped hold the line at the direst of times, the new community team program is designed to reward all levels of involvement in supporting Modiphius’s games. Based on the level of their support, active members can expect to receive an awesome Modiphius TeamT-shirt, a SILVERSHIELDS badge, and credit towards Modiphius products. Dave McAlister is heading up the UK SILVERSHIELDS. Dave has been roleplaying for over 30 years, with a big love of the espionage genre. So much so that in 1999, he started Modus Operandi and joined the Sarbreenar “Living” campaign team as their plotline controller before moving across to the Living Spycraft campaign team (as UK Regional Branch Director) in 2003. 2003 was also the year that Dave founded UK Role Players as well as co-writing World Militaries and consulting on both US Militaries and Battlegrounds, all for Spycraft. Since then, Dave has concentrated on supporting the UK gaming scene. He has organised and run several small, one-day, events and was the RPG Area Manager for Gen Con UK in 2004. He is currently the webmaster for the Conception and Con-Quest conventions as well as UK Role Players. His current favourite systems are Savage Worlds and Cinematic Unisystem. Dan Whorl is the leading the US SILVERSHIELDS. A 33 year old step-father of 4 and a lifelong tabletop gamer. His interest run the gamut of games from Euro board games to Ameri-trash, collectible card games to family and party titles. However, his heart lies in table top RPGs. 25 years ago, Dan discovered Dungeons and Dragons and his life changed forever. Having since played every system he could get his hands on, as well as creating more than a few homebrews, Tabletop RPGs have become a cornerstone of Dan’s creative outlet as well as favored pastime of his family. For the last year and a half, Dan has been the Host/Moderator of the popular gaming podcast “The CarpeGM Gamecast” and the owner/webmaster of CarpeGM.net, a website that houses a community dedicated to the enhancement of social event gaming, it’s culture, and the support of those help to shape it. More team managers will be announced for Europe and abroad soon. If you know someone who loves Savage Worlds, Call of Cthulhu or you think would love to demo the new systems from Modiphius Entertainment please forward this message. In episode 4 Josh will be reporting on the Tokyo Game Show and we’ll have interviews with Chris Pramas of Green Ronin and Charlie Krank from Chaosium. 06:13 What’s on Your Table? https://itunes.apple.com/gb/app/1941-frozen-front/id598584564?mt=8Music Intro to Mutant Chronicles reading Ephemera by System Divide, used with permissionDisclaimerThe opinions expressed here represent personal opinions of presenters and guests and do not not necessarily reflect the views of Modiphius Entertainment Ltd.
Our good friend, Chris Birch, is at it again…..
MODIPHIUS has announced Heroes of the Sea by Sarah Newton, the latest release in their terrifying WW2 setting Achtung! 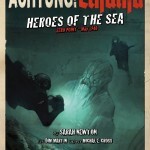 Cthulhu for the Call of Cthulhu roleplaying game. The Achtung! Cthulhu setting is packed full of fiendish Nazi scientists, terrifying ancient mysteries, legendary German war machines, desperate partisans, gun-toting paratroopers, determined investigators, and enough writhing tentacles to pack ten Reichstags! * A standalone 63 PAGE multi-episode adventure for several sessions of play! * New rules for wartime investigations, including tanks and Stukas! * An “Operational Briefing” and many other beautiful handouts! * Four pre-generated characters to get you playing immediately! Requires a copy of the CALL OF CTHULHU 6th Edition rules to play. The Savage Worlds, Trail of Cthulhu & PDQ versions will be available soon. Each Achtung! 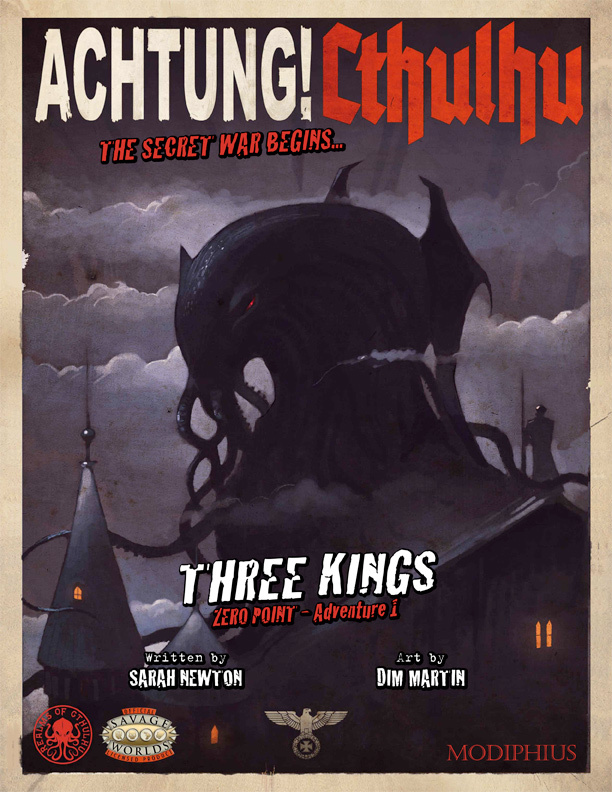 Cthulhu campaign book is a full-blown setting with new rules, vehicles, characters, alternate and historical wartime events, setting information and much more for Call of Cthulhu players. The episodic releases are completely stand alone and designed to allow the adventures or setting material to be used within existing games or played as thrilling one off perilous escapades. Play a huge range of classic wartime heroes such as Russian political officers, German U-Boat commanders, British commandoes, RAF pilots, US rangers, Washington investigators, London journalists, Hollywood starlets, and resistance fighters from all across Europe, who must all unite in the battle against the darker side of World War Two. Play three whole campaigns leading from the opening shots of the War in 1939, through intrigue and adventure in Occupied Europe, the siege of Berlin in 1945, and finally the cold wastes of Antarctica in 1946! Written for the popular Call of Cthulhu, Savage Worlds, Trail of Cthulhu & PDQ roleplaying game systems, Achtung! Cthulhu will thrust your characters in to the midst of a dark and desperate struggle, as Cthulhu’s minions take advantage of the chaos wrought by the Third Reich to topple civilization! The massive world-spanning Achtung! Cthulhu setting features occult conspiracies, terrifying Nazi war machines, and an ancient evil so powerful that it threatens to tear the world apart! 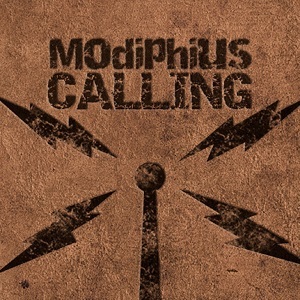 MODIPHIUS is the London based role-playing games imprint founded by Chris Birch, writer of the Ennie nominated Starblazer Adventures & co-writer of Legends of Anglerre. MODIPHIUS works closely with artists, writers and designers to develop entertainment brands. 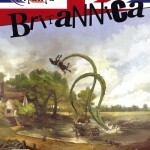 Notes - “World War Two…with tentacles!” I was able to sit down and chat (via Skype) with Chris Birch of Modiphious about his new publishing imprint and campaign series, Achtung! Cthulhu. Enjoy! P.S. Chris is a brilliant conversationalist, and sadly, I had to cut the interview a little short, as I had to go to my real job. Unfortunately, once the mics were turned off, the conversation went on for another 15 to 20 minutes about gaming and geek culture in general. By the time I realized the gold that was slipping through my fingers, it was to late. With that, good listeners, I leave you with a solemn promise….From this point forward, the mics WILL NOT be turned off until all communication has ceased!! !